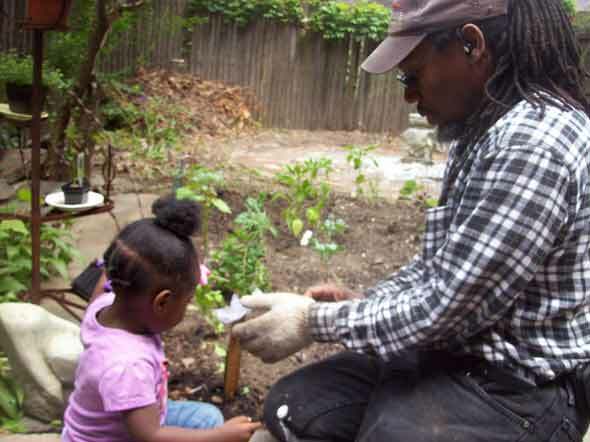 Gardener Kenny Harris works with Chelsea Williams in a Clinton Hill backyard vegetable garden. Climate change and the economic crisis are linked by the one element that created them: those who control the resources. in Africa to find some of these answers. So what does this have to do with changing lightbulbs, weatherizing windows, using real plates instead of paper, and recyclable grocery bags? More than you think. Central Brooklyn has severe health issues, high foreclosure rates, low income, and high unemployment. In Many respects, we are more Third World than not. Unfortunately, that history maybe getting blurred from the multiversity meltdown, and that could bring on a dynamic which would be tragic: the selling of “green” literacy programs or initial ancestral basic inventions back to us. If that happens, we will be worse off than ever. So that is why a Greenprint for Change needs to encompass something a little deeper than a grocery list of things to do … although they should be done. The platform of this Greenprint will unfold over time; its core is grounded in changing value systems, recalling and respecting ancestral traditions, equalizing opportunity. It is a revitalization of the mind set, focus on things that need to be done to help the family, the community, the nation, our children survive beyond us. It is at that point we begin to think about how we will design our own sustainability futures and push for bold agendas, and not have designs or agendas foisted on us. .
A series of Boot Camp courses on Sustainability or Green Tips and Techniques to all Block Association Presidents. these shores that still survive. Neighborhoods should develop “green” partnerships with neighborhoods in other cities, again all for the purpose of sharing. 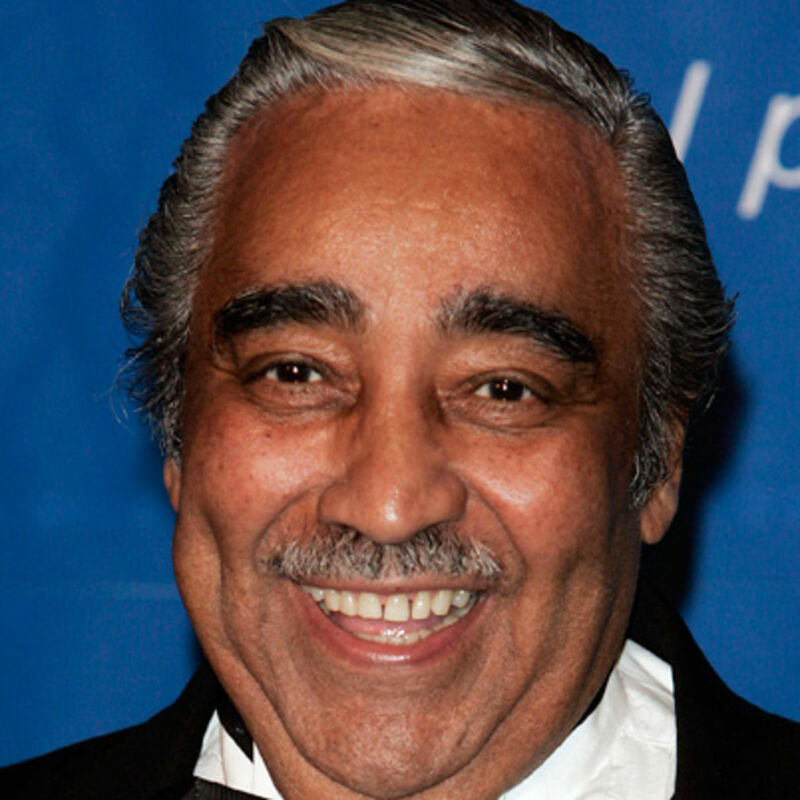 Information sharing would extend to family reunions; many families from Brooklyn travel South. They should tour the cities, and see what is being done or not being down to thwart the challenges of global warming. Develop Local Food recipes for a Family recipe book, and include family history. Get junk food out of the schools, as State Sen. Eric Adams said at the Brooklyn Food Conference, recently. A door to door outreach campaign to fix the food system would begin to increase awareness of health sustainability. Micro-finance – utilizing small donations from block residents – a business for teen members of the Block Associations, as long as that business has a green aspect. Within legal restrictions, they could test the soil of a backyard and grow, then sell their produce to block members. Or write a book about the block which would include profiles of everyone who agreed in advance to purchase a copy. Parents should demand agriculture, gardening, carpentry and other hands-on course be put back into the curricula, and this includes such “green” other “green” activities as home economics. The U.N. delegate from Seychelles advised: develop a neighbor to neighbor food trading system: one homeowner grows tomatoes; plants okras; other collards, and they share with each other. The U.N. delegate from South Africa said: If you see an empty unused lot, take it over. Just do it. Organization like Bedford-Stuyvesant Restoration might offer free Weatherization seminar, while Neighborhood Housing Services of Bedford Stuyvesant would offer Lead Prevention workshops – a t a Block Association meeting. Universities should take an interest in priming the pipeline before children reach high-school with mini-institutes of science in the classroom or at a nearby center – free. Local schools can connect with HBCU agricultural colleges for week-long summer NASA-like programs for young people and their parents. This could be by lottery with corporate sponsorship. Every major corporation located in a striving neighborhood should invest in the environment of that neighborhood. The Mayor should provide incentives for groups and blocks that engage in green/sustainable projects or develop their own plan for neighborhood sustainability. Offer neighborhoods new learning opportunities to explore stimulating challenges – solving the crisis in Africa, interpretations of it through art and music, group discussions, create new ideas and engage young people in pen pal situations. Technology companies can deploy their staffs to train in micro-green site development. The City should create a Green Business Plan competition, open to all Block Associations, with start-up funding going to the best plan. Universities receiving grant money for community work can split the money with the community, as well as resources and teaching labs. Sometimes, that translates to a couple of $100,000. Greenprint for Change continues, in an upcoming issue.